This spring, with Donald Trump’s “build the wall” message resonating so powerfully that he became the presumptive Republican presidential nominee, I was part of a team of Daily Star reporters that visited the southern border states. Our goal was to go beyond the political rhetoric and talk with people who live and work along the international line. 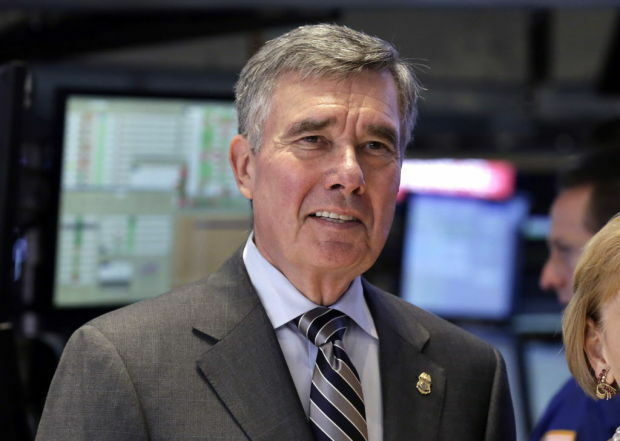 U.S. Customs and Border Protection Commissioner R. Gil Kerlikowske. Photo by Associated Press. The largest law enforcement agency in the country has made progress in sharing information after use-of-force incidents but there’s still work to be done, the head of Customs and Border Protection said. “We are doing better but I wouldn’t say that given the vast geography and size of the organization that it’s all running as smoothly as I would like to see it,” R. Gil Kerlikowske told the Arizona Daily Star a day before the agency held a news conference to discuss its latest shooting incident in Southern Arizona involving a Border Patrol agent. Since Kerlikowske was appointed to head the agency, which oversees the Border Patrol, he has pushed for greater transparency and accountability by releasing its use-of-force policy. More recently it also publicly disclosed the number of use-of-force incidents, which it said it will start to update monthly broken down by sector, agency branch and other measures. After a use-of-force incident, a high level CBP official is now supposed to make a statement to the public and release as much information as possible, even when the investigation is ongoing, he said, and cited recent examples where that has been done. During a Q&A with the Star, Kerlikowske — who has 40 years of law enforcement experience, including nine as chief of police in Seattle — talked about his push for accountability and current hiring challenges. 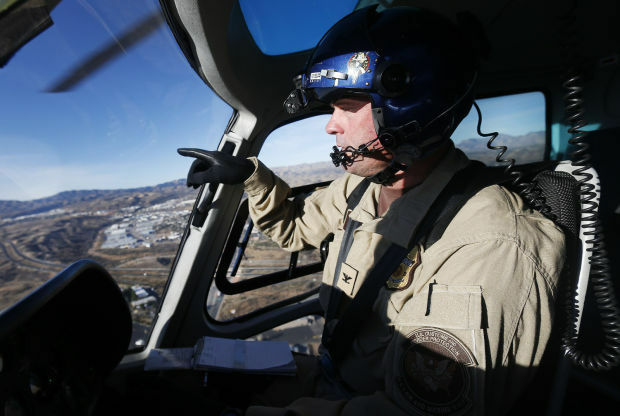 Jessie Scruggs, supervisor in the Tucson branch of the Office of Air and Marine, points to an object of interest as he pilots an Astar helicopter over the Interstate 19 corridor. Today the office is patrolling airspace above the Super Bowl. Photo by Mike Christy/Arizona Daily Star. Agents in the Office of Air and Marine often work in the shadow of their colleagues in the green or blue uniforms — but the lesser-known branch of Customs and Border Protection is the largest air and maritime law-enforcement organization in the world. Their Black Hawks and Astars will by flying above Glendale today during the Super Bowl, making sure airspace restrictions are being respected and ready to respond if needed. Aircraft and marine vessels have been part of border enforcement for decades. But it wasn’t until 2006 that CBP consolidated all assets to create the Office of Air and Marine. Today, it has more than 1,200 agents, 268 aircraft, and 293 patrol and interdiction vessels. It operates on an annual budget of roughly $700 million. Office of Air and Marine agents work with a range of agencies to do tasks that include providing security during a State of the Union address or the Super Bowl, to humanitarian support after natural disasters, such as the earthquake in Haiti. They also work in foreign countries to prevent drugs from reaching the United States. In Southern Arizona, one of their primary partners is the Border Patrol. While the office is an investigative agency, here its agents help the Border Patrol track groups from the air, transport agents to the top of hills to arrest cartel scouts and, lately, a lot of their focus is using their Black Hawks for searches and rescues. As enforcement in urban areas has increased, smugglers started to take groups into increasingly rugged terrain. Many of the rescues are now concentrated on the Tohono O’odham Nation west of Tucson, said Jessie Scruggs, supervisor in the Tucson branch. Last fiscal year, the Tucson Sector of the Border Patrol recorded 459 rescues. Elissa Maish of the Red Cross walks under a barbed-wire fence in a dry creek bed often used by migrants as a corridor. U.S. Customs and Border Protection on Wednesday demonstrated one of its 22 Tucson Sector rescue beacons. The beacons are solar-powered. Photo by Mike Christy/Arizona Daily Star. A Salvadoran brother and sister were trekking through the Southern Arizona desert when he had to stay behind because he couldn’t keep up. The smuggler said another group was on its way and would pick up the 18-year-old, encouraging his younger sister to go on. That was three months ago, and the Salvadoran Consulate in Tucson has not been able to find him, Consul Ludmila Aguirre said during the Border Patrol Border Safety Initiative Wednesday morning while standing next to a 30-foot rescue beacon the agency uses to help migrants in distress. While the number of apprehensions has decreased in the Border Patrol Tucson Sector, the rate of people dying has remained constant. Since fiscal year 2011, there have been 16 border crosser remains found for every 10,000 apprehensions — only falling slightly to 15 in 2012. “Addressing this issue of border deaths in the desert is everyone’s business,” Tucson Sector Border Patrol Chief Manuel Padilla told a group of humanitarian organization members, consuls and journalists before the Border Patrol Search Trauma and Rescue demonstrated a rope technical extraction with a Black Hawk helicopter in Brown Canyon, just east of Baboquivari Peak.